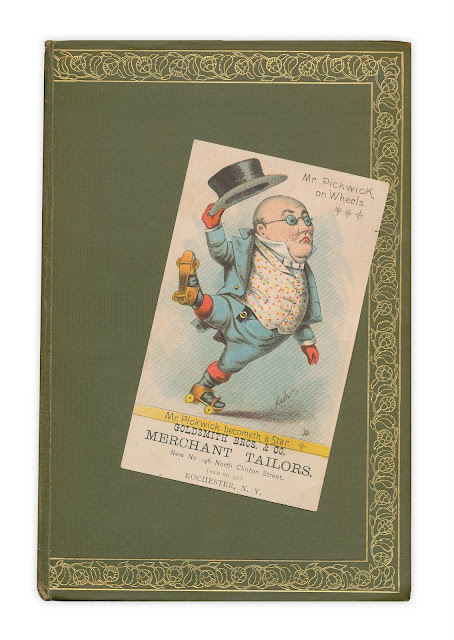 Mr. Pickwick becometh a Star. Found in "The Letters of Robert Browning and Elizabeth Barrett Barrett." Published by Harper & Bros., 1899. LOL! That's the best Mr. Pickwick ever! I'd have to side with Deb on this one - Is this just momentum taking over, or does he look like he really has it all under control? LOL. Great find!